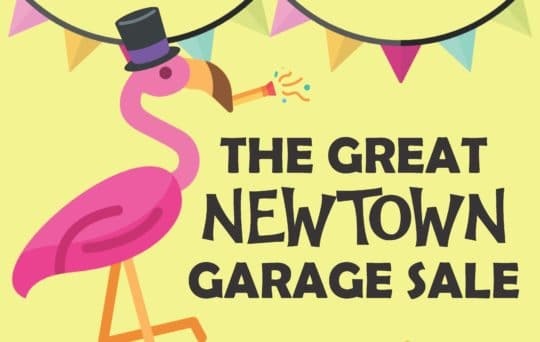 There will be garage sales all over Newtown on Saturday 16th March from 9am till 12pm [except that the Newtown Community and Cultural Centre on the corner of Rintoul and Colombo Streets will have their sale from 10am – 2pm – don’t try and go early!] There are 23 sales entered online – three are outside Newtown at 115 Farnham St, 88 Aro St and 121b Brougham St Mt Vic [and not on the printed map], but the others are around Newtown and are listed both online and on our printed map. There’s a wonderful range of goods – from plants to furniture and everything in between – have a good browse of the offerings! Click here to see the online map of this year’s garage sales – click on the address to see what’s for sale! Pick an address to start from, and the host there will have copies of the printed map so you can take a copy to guide your onward journey. You can also pick up a map with all the listings on Friday afternoon or Saturday morning from the Newtown Library or from local cafes. The Garage Sale Day will take place rain or shine. If its wet, check back and look at the online map, just in case there have been any cancellations by people who can’t have their sale under cover.